The inland in the north of Mallorca offers a large selection of diverse real estate for sale to prospective buyers. Nestled between some of the most beautiful beaches of the island and the beautiful landscape at the foot of the Serra Tramuntana, our estate agents in Búger, Campanet, Sa Pobla, Muro and Santa Margalida sell charming, traditional townhouses as well as impressive villas with fabulous views of the Mountains and the sea. Have we piqued your interest? 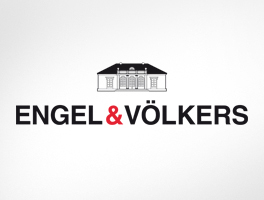 Convince yourself of the first-class selection of high-quality real estate that Engel & Völkers offers its customers in the interior of Northern Mallorca. Campanet is still a very traditional place where life works at a slower pace. In autumn and winter, real estate owners can also experience a fantastic natural spectacle here, when in heavy rainfall over the Tramuntana mountains natural springs appear out of nowhere. Also worth seeing, according to our estate agents of Engel & Völkers Mallorca Nord, the stalactite caves of Campanet "Coves de Campanet", which impress with their dimensions. Santa Margalida pleases buyers of a town house or a villa with regional products such as cereals, dried fruit, wine and olives. Racehorses are also bred here. If you are looking for a villa or a townhouse in Sa Pobla, you are just a stone's throw away from the popular S'Albufera nature reserve, a paradise for hikers, cyclists and birdwatchers. A Tip by Engel & Völkers: If you have children of school age and are looking for a suitable property for your family to buy, the international My School could be of interest to you, which is located very close by. If you are looking for a quick and easy way to make new friends in your new place of residence, our real estate agents recommend that you buy a townhouse or villa in Búger. With a size of only 8.29 square kilometers, Búger is the smallest community on the Balearic Island, where everyone knows everyone and newcomers are openly and warmly welcomed. Property buyers in Muro benefit from the typical Mallorcan ambience and a modern infrastructure. The municipality of Muro also includes the Playa de Muro beach, which, according to our real estate agents on site, is particularly popular with families due to its fine sand and calm waters. One of the greatest assets of this region is the versatility of the landscape. The proximity to the sea, to the mountains and even to the island's capital, Palma, mark the many possibilities offered to owners of townhouses, villas and rustic houses here. The beaches of Puerto de Alcúdia, Playa de Muro and Son Serra de Marina are within a 30 minutes drive max from Búger, Campanet, Sa Pobla, Muro and Santa Margalida. In Can Picafort there is a great Marina with several hundred moorings, Alcúdia has an excellent golf course and for peace and privacy our estate agents from Engel & Völkers recommend the natural beach of Son Real. The north of Mallorca is ideal for both water sports as well as cycling and hiking in the Serra Tramuntana. If you are planning to relocate your property to one of the Búger, Campanet, Sa Pobla, Muro or Santa Margalida, by buying a townhouse or a villa, our estate agents at Engel & Völkers can offer you a wealth of options for a varied day-to-day life. Finding the ideal property is often a time-consuming task. 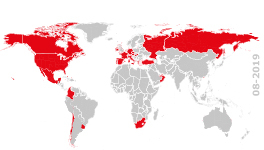 It is therefore an advantage to have an experienced real estate agent such as Engel & Völkers by your side, especially one that knows the specifics of the individual locations as well as the regional real estate market and has been successful in the purchase and sale of upmarket real estate for around 40 years. In our Engel & Völkers real estate shops in Pollensa, Puerto Pollensa and Puerto Alcúdia you will get to know our competent real estate agents personally during a non-binding consultation. We look forward to your questions about buying and selling townhouses and villas in Búger, Campanet, Sa Pobla, Muro and Santa Margalida. The north of Mallorca has even more special residential areas to offer. Please find out more about the advantages of Pollensa, Alcúdia or the coastal towns as a potential location for your new property. You would like to spend your holidays or a longer period of time in the north of Mallorca? Here you will find our holiday offers and properties that are available for a long-term rental.